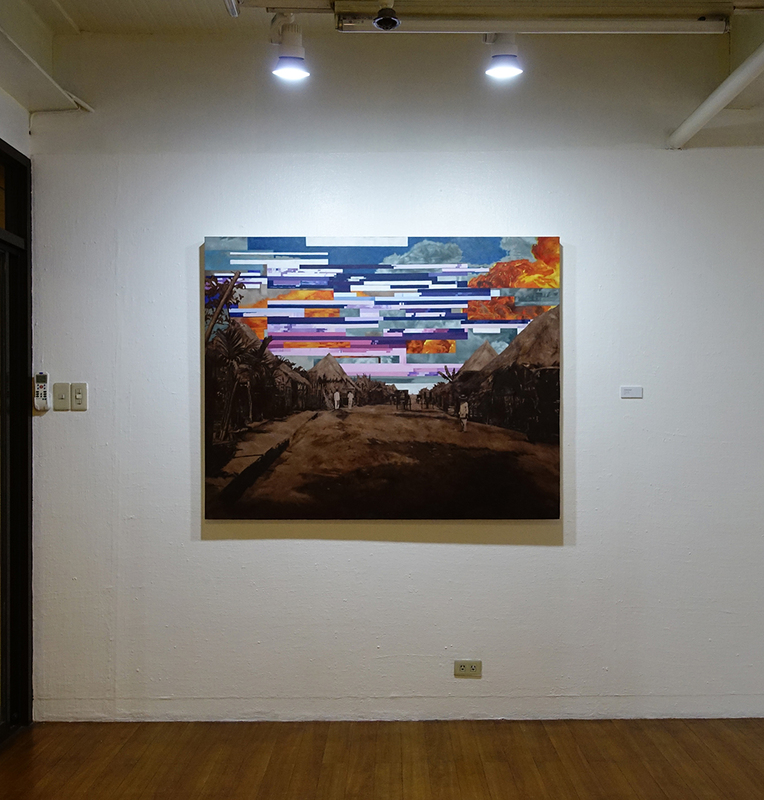 Keb Cerda borrows from the language of computer and digital technology to intervene with archival photographs and add new pieces to his repertoire of war-themed works. 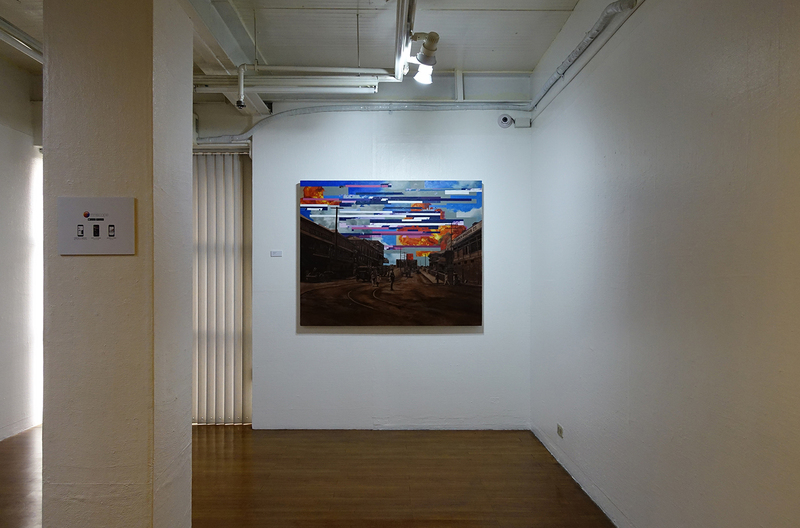 He makes use of the concept of “glitch,” a moment of lapse in the normal functioning of a digital system, which he presents visually either as pixelations in an image or a malfunctioning screen. 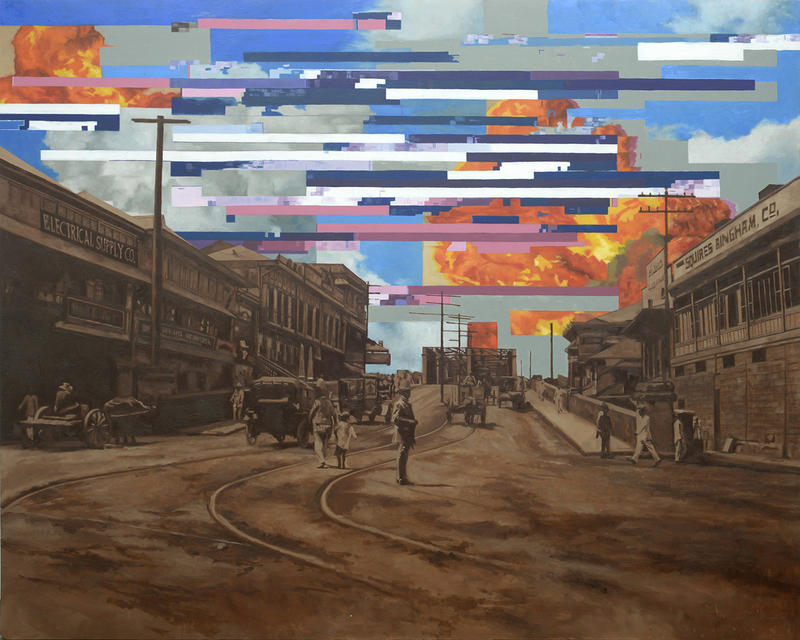 These errors appear as explosions, flames, and clouds of smoke encroaching the tranquil blue skies of street and genre scenes from early 20th century Philippines. The relative order and peace of everyday life from the distant past is threatened by a looming vision associated with destruction and bloodshed. 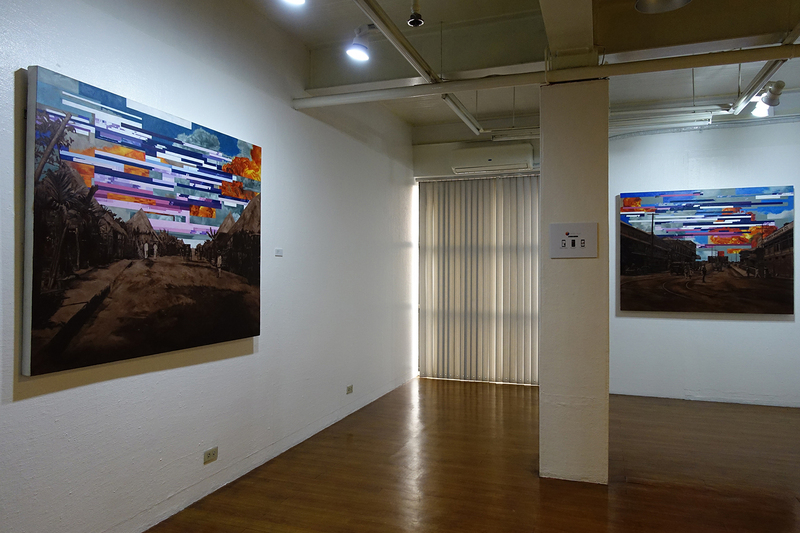 This juxtaposition of digital stylization and photographic realism may also be read as a visual metaphor of the dehumanizing effect of warfare. The digital component of an image revealed hints at the transformation of individuals into electronic codes—stripped of remorse and programmed for precision and accuracy. With such appropriation and visual maneuvering, he attempts to frame episodes of war and atrocities in history as instances of glitches in humankind’s judgement and sense of reason. 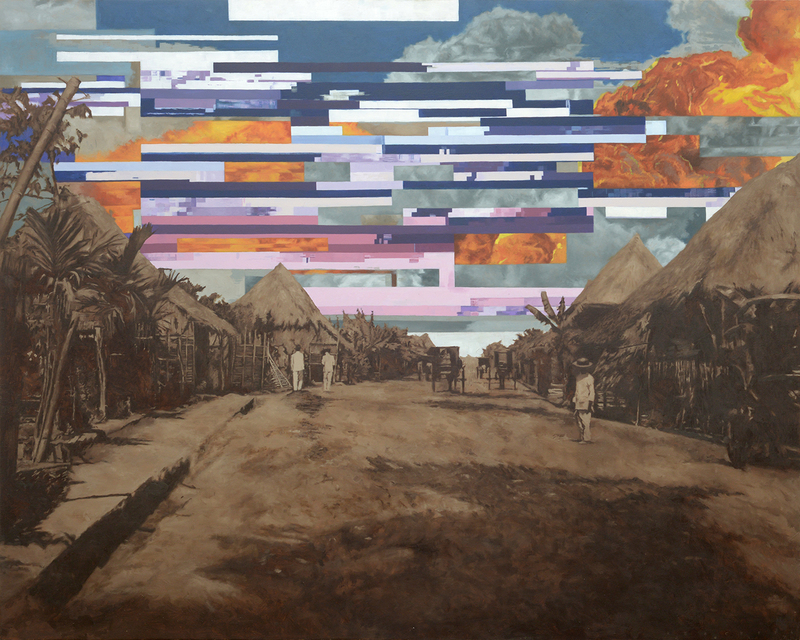 The title poses a warning reminiscent of an error message following a crash in a computer system, but also alludes to society’s ultimate failure or doom if greed and violence prevail. It is a condition that can be fatal if left unchecked or unassessed by our conscience, empathy, and other components that make us human—as opposed to computer systems.